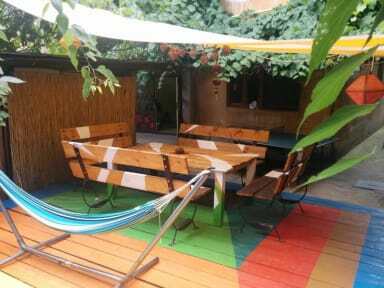 Great hostel to meet other backpackers, right in the center of a lovely town. Owner is an awesome guy who really helps you to plan your trip through Roemenia with great tips. I really enjoyed my stay here! Nice hostel with a very friendly staff. Would definitely go back here. 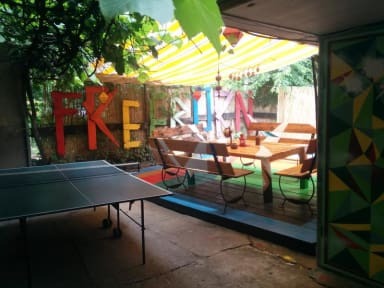 Freeborn Hostel is a small but cozy hostel near the historical centre of Timișoara. Raul, the manager, is a nice fellow who loves his hostel and takes good care of both the place and his guests. Speaking of the guests: I met so many nice people during my stay there! If you're looking for a good place to sleep and meet some new friends, I'd warmly recommend Freeborn Hostel. Had a very nice stay in this hostel because of the very friendly staff ! Great hostel! They'll help you with anything you need and they can tell you everything you want to know about the city. I had an amazing time here! Raul was really nice, we enjoyed our stay. Really great and helpfull staff! I loved my staying at Freeborn hostel! The atmosphere is amazing and the hosts will do anything ro feel you at ease. The common area's are also great to meet other people. I had no bad experiences in general. When you want a cosy and friendly place to stay, this is the go to!